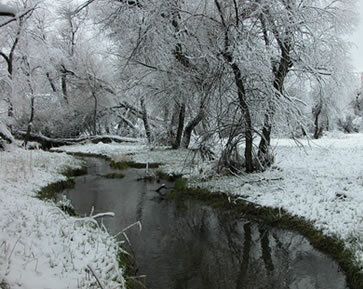 Fresh snowfall along Alkali Creek. 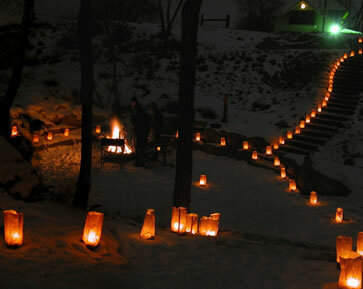 Luminarias decorate Pmacoboh on New Year's Eve. Looking upstream at Four Dances across the river from upper Earl Guss Park. 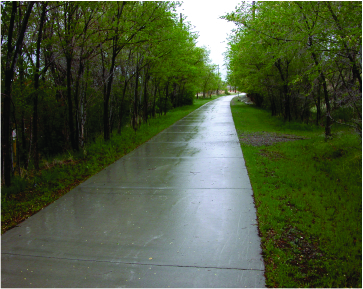 This scenic concrete trail is named after the late visionary Jim Dutcher and is the backbone of YRPA's Trail System. 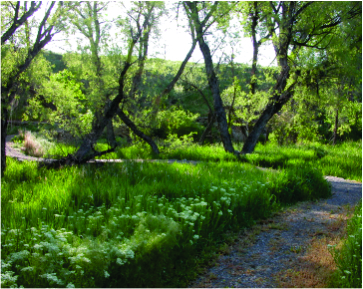 Springtime in the park with tall grasses and peach leaf willow trees lining the banks of Alkali Creek. 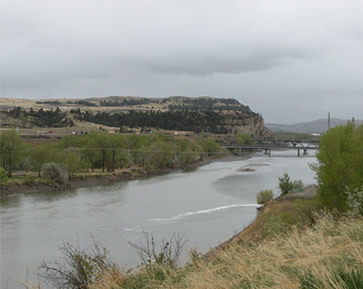 The Yellowstone River fills this channel with snowmelt and spring rainshowers. This stream runs around the north shore of Norm Schoenthal Island. Perched on the south shoreline of Norm Schoenthal Island this bench is one of many accessed by a trail which circumnavigates the island. 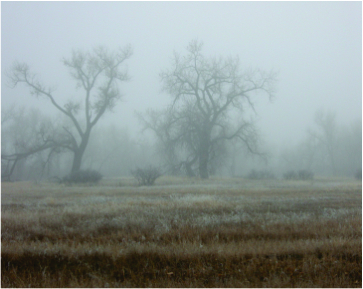 Fog shrouds these majestic cottonwood trees where one can find abundant species of birds and wildlife. Two Moon Park has numerous intimate trails throughout the park. 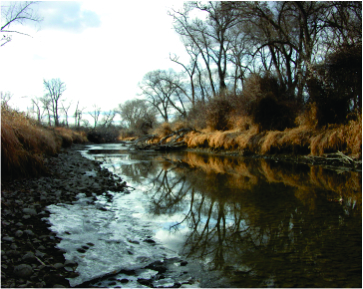 As a community based not-for-profit, the Yellowstone River Parks Association relies on philanthropy. We encourage all people to be engaged within our community, and to give back financially and with their time. Being nonpartisan enables us to be independent and work closely with people on all sides of the political aisle. Additionally, we, as with all 501(c)(3) organizations, are governed by a board of volunteers. Our volunteer board members work together for common purpose without permitting partisan elements to enter the conversation. If this nonpartisanship is violated our purpose for the common good could easily dissipate. We therefore shall remain nonpartisan, taking no sides in any political campaign and only espousing those causes which further our organizational goals. YRPA depends on volunteer effort. We are an all volunteer operation. If you have a desire to give something back to the community, please join us! 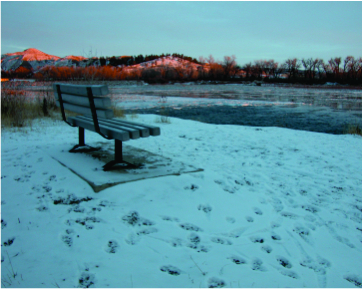 YRPA’s mission takes us into many parks along the Yellowstone River. These public spaces are the jewels strung on the Yellowstone Valley trail system. As an all volunteer organization, YRPA depends on your financial help. We rely on donations and grants. We are not a government based operation and are not part of the local, State, or Federal budgets.